Neurodegenerative disease is a rapidly rising global public health burden. Recent studies suggest that gut microbiota, microbially-produced metabolites, and gut dysbiosis may play a role in the initiation and/or progression of neurodegenerative diseases such as Alzheimer’s, Parkinson’s, and amyotrophic lateral sclerosis, although additional studies are needed. In addition, the use of nootropics, which are drugs and dietary supplements that enhance mental performance, is increasing in healthy people who frequently report obtaining these through friends. Herbal medicines are commonly used to treat neurological disease in patients as well as promote neurological health and mental performance in healthy individuals. Thus, there is a growing need to scientifically evaluate these supplements in the context of disease treatment as well as cognitive support in healthy people. Our group is curious about the microbiome-mediated therapeutic effects of medicinal herbs on human health outcomes. As little is known about the effects of these herbs on microbiota, which may mediate therapeutic effects, our study aimed to identify gut community and functional changes in the context of herb supplementation in vitro. Our recent work has examined the prebiotic potential of medicinal herbs. In our current study, we assessed the prebiotic potential of 10 medicinal nervine herbs used to treat neurodegenerative diseases and enhance brain function (nootropics). The mechanism of action of these herbs is unknown but likely mediated by multiple components present in each herb. It has been speculated and demonstrated in some instances that gut microbiota may enhance the bioefficacy of herbs by metabolizing the component molecules to increase absorption and bioactivity. We hypothesized that the carbohydrates present in nervine herbs may modulate gut microbiota composition thereby redirecting community metabolism. Herb-induced microbiota alterations necessarily change the metabolism of microbiota and the metabolites produced by gut communities. To test this hypothesis, we used in vitro anaerobic cultivation of human feces. All of the herbs tested induced alterations in the relative abundance of a large number of taxa. 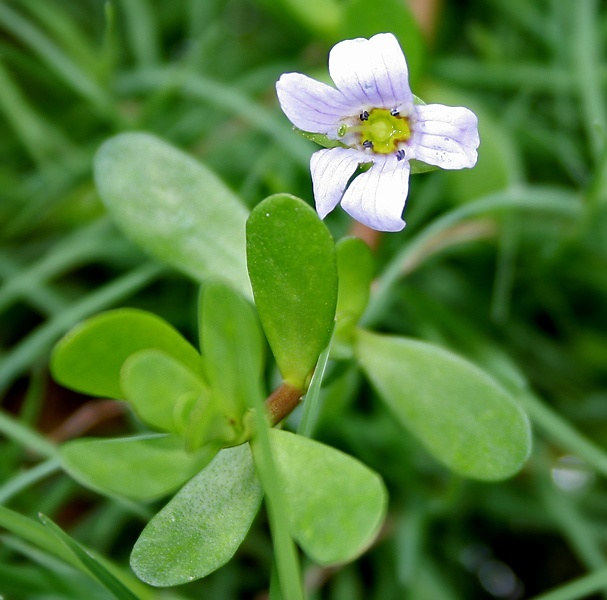 At the species level, 136 (56%) of observed taxa are altered by more than 100-fold by at least 1 medicinal herb. The resulting communities consisted of an increased representation of taxa that degrade polysaccharide components present in each herb and species cross-feeding on simple sugars liberated from herbs. We used genome reconstruction of 216 reference genomes present in our data sets to determine their sugar utilization potential. This enabled us to assess whether the specific sugars present in each herb, as determined by mass spectrometry, selected for taxa capable of transporting and utilizing those sugars. We were unable to discern any enrichment of sugar utilization capacity in herb-selected cultures, suggesting that higher order features of polysaccharides, e.g. sugar linkages, branching and/or degree of polymerization may promote selection of taxa. We did observe that each herb resulted in enrichment of certain glycosyl hydrolase specificities encoded by select taxa. The positive selection of glycosyl hydrolases by medicinal herbs strongly suggests that glycan catabolism specificity is an important aspect of the microbiota modulatory capacity of each medicinal herb. By evaluating control cultures that contained only amino acids for energy, we were able to identify 40 species capable of amino acid fermentation. We also used genome reconstruction to identify species capable of butyrate and propionate biosynthesis since these short-chain fatty acids (SCFA) have been implicated as important microbially generated signaling molecules influencing host physiology and CNS function. This analysis identified an unprecedented curation of SCFA-producing taxa present in microbiota including 76 species with butyrate-producing potential and 85 species with the potential to produce propionate. Only Jatamansi-supplemented cultures led to an increase in predicted butyrate producers, although these comparisons were impacted by the relatively high level of butyrate producers present in control cultures that generate butyrate from glutamate or lysine. Several herb-supplemented cultures induced an increase in both butyrate and propionate producing species compared to glucose-supplemented cultures. The communities generated following herb-supplementation suggested that induced taxa provide complimentary activities that cooperate to catabolize herb substrates. Evidence in support of this came from the analysis of herb-specific co-occurring species in culture replicates with Co-occurrence Network analysis. Co-occurring species often displayed highly coordinated growth patterns suggesting that these species shared a common metabolic potential for herb catabolism and/or complimentary functions involving cross-feeding of metabolic products that are substrates for other species. The molecular explanation for the coordinated growth of species remains unclear; however, we speculate that these relationships are unlikely to involve cross-feeding of metabolites with widespread specificity since the groups of coordinated taxa were generally small in number (2 to 5 species). As an alternative hypothesis, we speculate that co-occurring taxa may physically interact through cell-cell interactions or through binding proximity to available herb substrates that would favor a mechanism for selective cross-feeding favoring smaller subsets of species. Interestingly, the apparent partnerships formed are not only herb-specific but display significant interchangeability, suggesting that some bacterial species display a novel phenotype characterized by cooperative potential. Taken together, our results support our hypothesis that medicinal herbs promote substantial prebiotic potential and that herbs alter the fitness landscape of specific taxa predominantly, but not exclusively, due to glycan utilization and sugar fermentation potential. Compared to traditional prebiotic isolates (e.g. FOS, GOS, XOS), medicinal herbs are molecularly more complex and drive greater alterations to gut microbiota communities. Our results illustrate the cooperative nature of microbes and how they carry out complex biochemistry despite their limited genome size and coding potential. As such, microbiota as a cooperative community is greater than the sum of its parts. As studies on the gut microbiota response to herbs continue to mount, an age of modulating gut microbiomes in a targeted manner with herbal medicines may dawn. These findings are described in the article entitled 16S rRNA gene profiling and genome reconstruction reveal community metabolic interactions and prebiotic potential of medicinal herbs used in neurodegenerative disease and as nootropics, recently published in the journal PLOS One. Prebiotic Potential of Herbal Medicines Used in Digestive Health and Disease. Christine Tara Peterson received her Ph.D. in Immunology & Microbiology from the Institute for Biomedical Sciences at the George Washington University School of Medicine where she studied the structure and function of the murine gut microbiome in sub-therapeutic antibiotic-induced obesity. 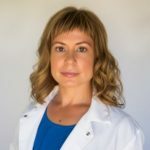 She is currently a Fellow at UCSD School of Medicine engaged in Clinical Trials using Ayurvedic medicines in immunosenescence and inflammaging and the therapeutic modulation of human microbiomes in the context of neurodegenerative disease and gut-related disorders. Previous Post« Previous Powerful People And Moral Decisions: Do Powerful People Think Differently About Morality?